Some news from HWBOT.ORG just in with HiCookie taking out the single card Unigine Heaven world record using the GIGABYTE Z87X-OC and R9 290X GPU. Just so you know, the following keys are fading away on my keyboard: R, E, C, O, and D. Why? Because there are so many Orceds to write about. Just now, Hicookie from Gigabyte has submitted the WR for 1xGPU Heaven DX11. He clocked the Radeon R9 290X to 1355/1725 MHz and beat Sofos1990 by almost 40 points. He was struggling with the efficiency for a very long time. 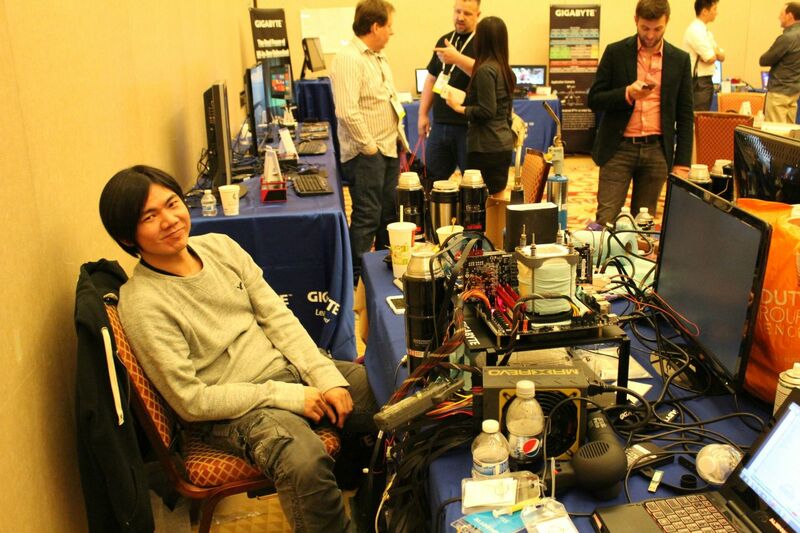 In fact, that's what prevented him from taking the record at the CES'14 overclocking event. The record is set with an interesting combination of hardware too. At least, interesting for the companies supporting the development of HWBOT. Hicookie used an Intel CPU, GIGABYTE motherboard and graphics card, an SSD and memory from G.SKILL and an Enermax power supply. Cool! But of course all records are created equally and we congratulated 8 Pack when breaking records on non-partner hardware as much as we congratulate Hicookie today! ;-).